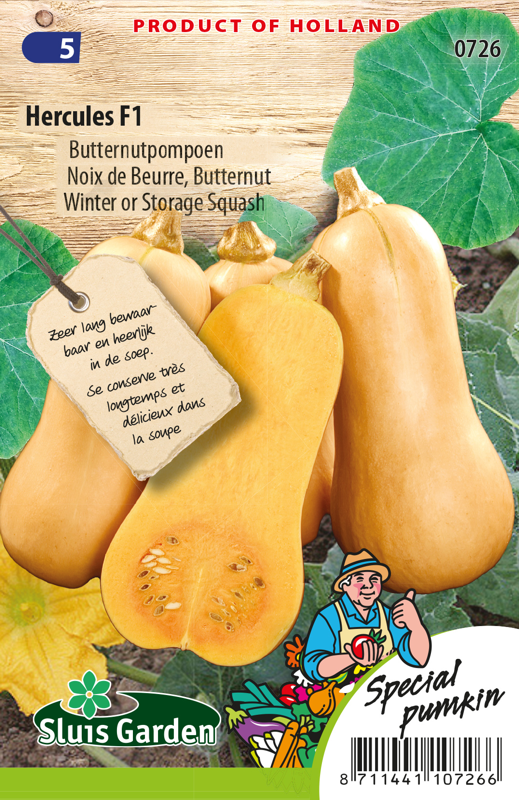 A hybrid butternut squash which is easy to cultivate in Western Europe. 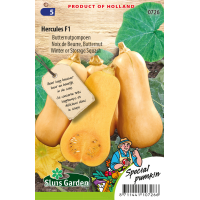 Requires few growth days to develop into 1.2 kg fruits. Keeps extremely well. Delicious in all sorts of dishes or in soup, due to its full, sweet and nutty flavour. Sow in a greenhouse in small boxes or directly in large pots. Transplant after mid May once there are 4 true leaves. Pumpkins are very sensitive to night frost. The plant requires plenty of fertilizer, water and warmth. Cut off the tendrils if they grow too long.